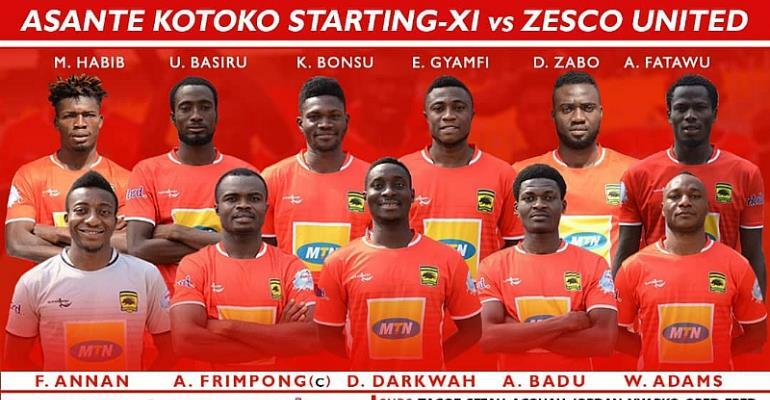 CK Akunnor has handed Dany Zabo Teguy has been handed his debut start for Kotoko in today’s CAF Confederation Cup. The Ivorian has been thrown in to replace suspended Songne Yacouba who has been suspended due to accumulation of cards. Teguy will lead the attack together with Abdul Fatawu Safiu. Habib Mohammed also returns to the team after he was left on the bench in the previous game against Al Hilal. Kotoko must win against the Zambians to book their berth in the quarterfinals of the competition.